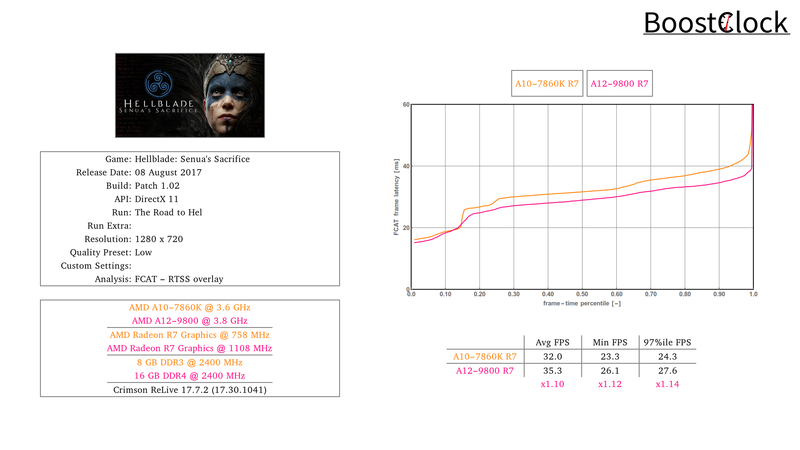 How much faster is the A12-9800 in the cinematic psychological horror action-adventure video game Hellblade: Senua's Sacrifice? To benchmark the game we join Senua as she makes her way to the shore in the initial part of the game. 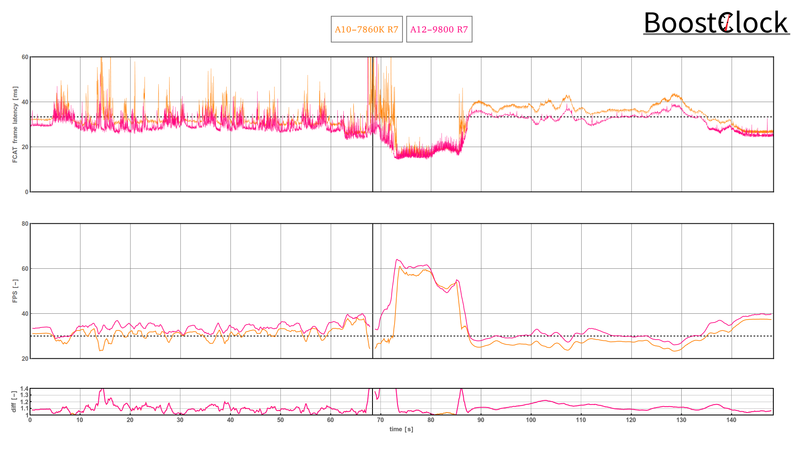 With 720p and low settings the game plays just around 30 FPS on both systems.